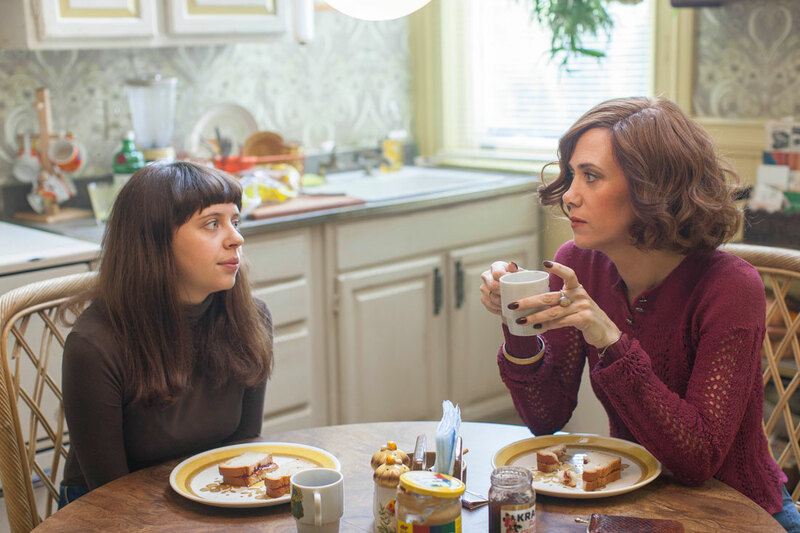 Bel Powley and Kristen Wiig in The Diary of a Teenage Girl. Film festivals come and film festivals go, and usually the second follows the first. A successful one can bring a lot of money into a region, but it takes more to get one up and running than a bunch of movies. Now in its second year, the Niagara Integrated Film Festival appears better situated than most to make it. For one thing, it has some world-class talent running things, including founder and artistic director Bill Marshall, one of the founders of the Toronto International Film Festival (the festival that every city wishes they could emulate), and veteran programmer Tony Watts, who since 1970 has worked with film festivals as notable as Berlin, London, Rotterdam, Thessaloniki, Barcelona, and Goteburg. William Buckley and Gore Vidal in The Best Enemies. If you’re happy to dine on popcorn and just want to see a bunch of new movies before they come to local theaters, NIFF obliged with three days of screenings at two area venues. The Landmark Theater in Saint Catharines is a chain multiplex house; what it lacks in personality it more than makes up for in quality of presentation. The Seneca Queen Theater in Niagara Falls doubles as a live music club, which unfortunately renders it a bit too, shall we say, funky for filmgoing, though having a bar on site may get you past that objection. I saw 11 of the 28 new features shown at NIFF, and the overall quality was high: There was only one film I disliked (the British girls-school drama The Falling), and even that was a respectable failure. Three of them will be in Buffalo moviehouses in the coming month. Testament of Youth is based on the memoir of British pacifist Vera Brittain (Alicia Vikander) that detailed her experiences during the First World War. The completely opposite The Overnight, an indie comedy about two couples having a getting-to-know-you evening, includes a scene with Jason Schwartzman and Adam Scott that may go down in movie history. Almost as shocking is The Diary of a Teenage Girl, based on Phoebe Gloeckner’s graphic novel inspired by her teenage years in San Francisco in the late 1970s. Actress Bel Powley received a special award from the festival for her bold performance in the title role as a girl with body issues who has an affair with her mother’s boyfriend. The film I most enjoyed, and one I hope will get a Buffalo play date, was Best of Enemies, a documentary about the debates between Gore Vidal and William F. Buckley Jr. that were televised live on network TV during the political conventions of 1968. It made for fascinating viewing both as a chance to revisit these two larger-than-life personalities (with egos to match) who openly loathed each other, as well as for capturing what may be the exact moment when reasoned public political discourse died. As for the movies that you go to a film festival to see because you won’t get another chance: From Costa Rica, Viaje spends time with two 20-somethings who meet at a party and spend a drunken but chaste night together. He has to leave the next day for a research project on which he will be alone in a forest area, and on the spur of the moment she goes with him. Charting the few days they spend together, the film carefully builds a very special mood, one that wasn’t fully apparent until it was over and I found I couldn’t get it out of my mind. From Hungary, Liza the Fox-Fairy would be a perfect midnight film if that circuit still existed, and will probably appeal to that sizeable number of art house habitués whose all-time favorite film is Amélie. A young woman who has spent her life until her 30th birthday tending to a widow gets a chance to find love when her charge dies. Her guide is the ghost of a Japanese pop singer who has his own designs on her: Instead of helping her, he curses her to become a “fox-fairy,” who will bring death to all who fall in love with her. Its odd middle-European humor is a bit wearing, though Wes Anderson buffs should seek it out. Film festivals are often the only places where films that don’t get theatrical distribution are ever seen on a screen larger than the one in your living room. The nearly IMAX-sized screen on which the microbudgeted science fiction film Advantageous was shown could have been an unintentional disservice: Most films made on this scale would have their limitations exposed when blown up so large. Instead, it displayed to strong advantage the oddly conceived and designed cityscapes that director Jennifer Phang commissioned from her students at the School of Visual Arts in San Francisco. They serve as a futuristic background for a story of a woman who works as the spokesmodel for the “Center for Advanced Health and Living Well”—an institute for advanced cosmetic surgery. Threatened with the loss of her job at a time when she needs to place her adolescent daughter in a school that will guarantee her own future, she decides to undergo the Center’s most radical new procedure. It’s available now for viewing on Netflix.